 Electrostatic interactions in neurotoxin II.  Study of ligands binding to melatonin receptors.  Membrane-active proteins and peptides in full-atom model bilayers. 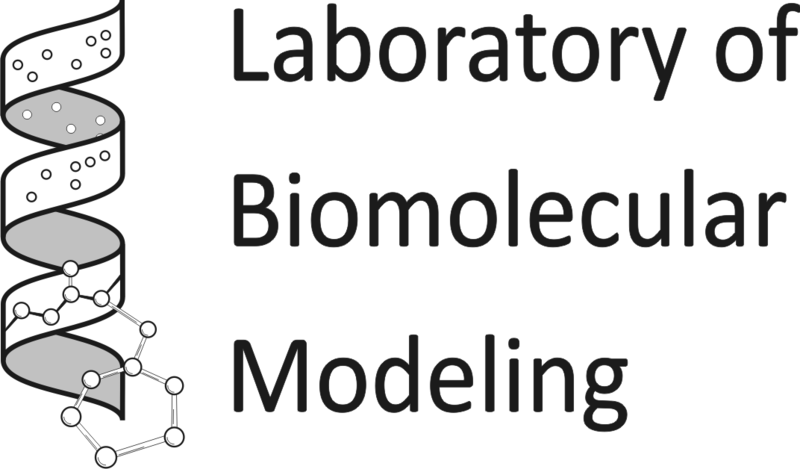  Full-atom membrane models (bilayers, micelles and cell membrane mimetics).  Prediction of spatial structure of human melatonin receptors. 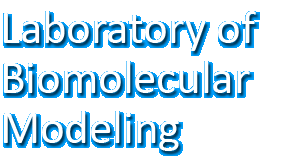 Efficient docking and virtual screening techniques to realistic membrane proteins models (in the first hand, GPCRs) is an ultimate objective of our laboratory. 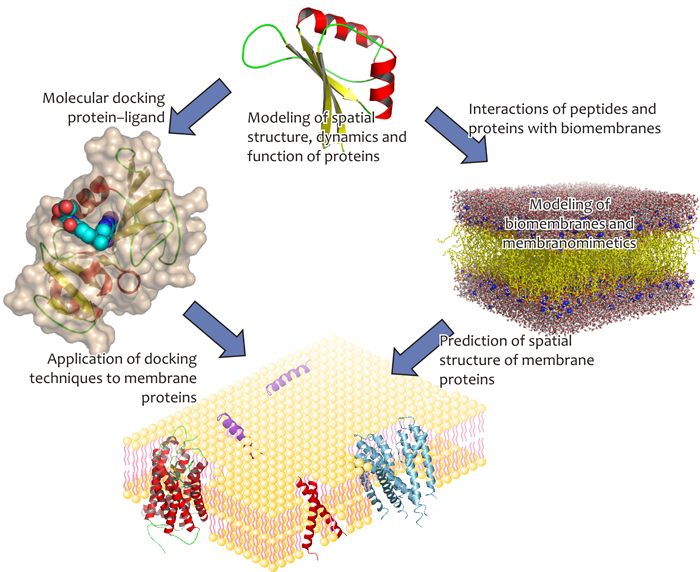 Protein–protein interactions in membrane enviroment. Recognition of transmembrane α-helices with environmental profiles. Hydrophobic complementarity in ATPprotein complexes. Algorithm to assess packing quality of α-helical transmembrane domains. Address: 117997 Russia, Moscow, ul. Miklukho-Maklaya 16/10.